StoryCorps traveled to Alaska in February to record the voices of our service men and women. This story comes to us from JBER, where retired Air Force Master Sergeant Kerry Seifert and his wife, Lynn, rehashed some of the adventures they’ve had as a military family. Lynn and Kerry Seifert have a lot of wild stories from Kerry’s 20-year career in the military. Stories of raising an eagle. Stories of bear hunting. Even a story about an ill-fated attempt to scare a superior officer with a gaudy Halloween mask. 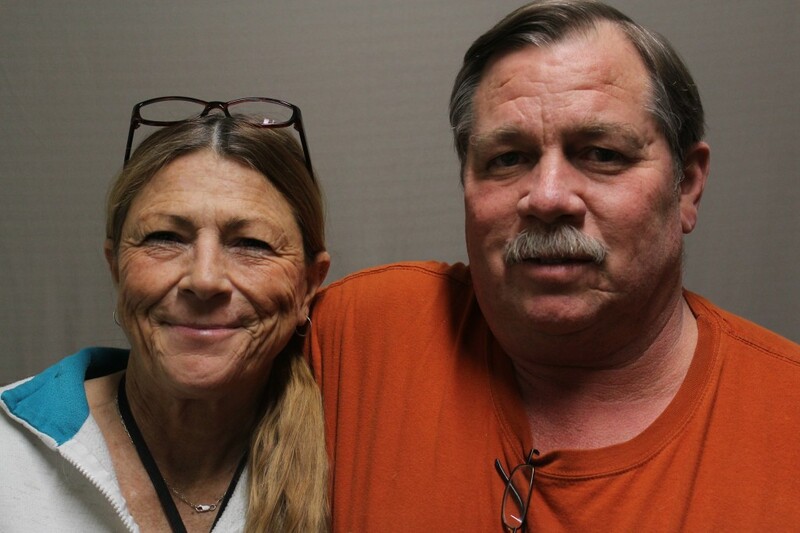 At StoryCorps, the couple rehashed some of their adventures. Kerry: “In 1973, November 5th and 6th, we got married. We had two days when we got married. Three days after that is when I came into the Air Force going to boot camp, three days. And that kind of began our military career. “We drove to Alaska. We spent four years at Elmendorf Air Force Base. After four years at Elmendorf I went remote to King Salmon, Alaska. And during that trip Lynn got to come out to King Salmon for a couple of months to live. Lynn: “Dumped the Jeep in the river… We borrowed this Jeep from this fellow. So one afternoon I wanted to go fishing. Kerry was out at the cells. He said sure, go ahead. And so we drove the 20-some miles out to — what was the name of that lake? — Naknek Lake. So anyway, we get out there and it’s sub-zero. Maybe 5 below, really cold. And we’re out in the middle of nowhere and this drive — there’s nothing between the base and where we’re going. Nothing. Zilch. Wilderness. “So as we just started casting, my oldest son turns around and he goes, ‘Mommy.’ And I go, ‘What?’ He goes, ‘Mommy! The Jeep’s rolling!’ He goes, ‘MOMMY! THE JEEP IS ROLLING!’ And I turn around, and sure enough, this Jeep is rolling right toward us into the water. So I drop my pole, race up there, fly open the door and start slamming on the brakes. Finally then I heard him yell, “MOMMY! JUMP! JUMP!” So I jumped out and there it went, right off the edge of the ice. Floated out there, turned a little and then went glub… glub… glub. Kerry and Lynn Seifert’s interview was recorded at JBER in February and is archived at the Library of Congress. This piece was edited by Slavik Boyechko at Alaska Public Media.